A blanket of snow may have an aesthetical effect on a roof, but it’s something you need to remove carefully. Snow is the key ingredient to ice damming, so keeping your roof clear of excess snow should be a priority before it causes problems. When the excessive snow starts to melt on your roof, it can run and form buildups in your eavestroughs which can cause leaks in your roof, ceilings, home’s interior walls and insulation, and can even lead to poor air circulation and mildew inside your home. However, ice dams aren’t the only danger from snow buildup as it could cause harm to others as well. When the icicles from a roof break off, it could cause injury to anyone or break any properties underneath. 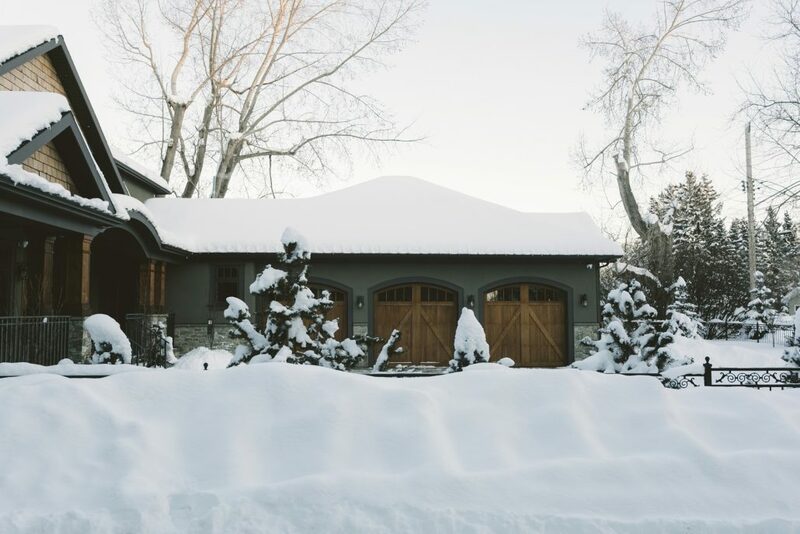 However, before you hire a professional snow removal service or before you climb up to the roof to clear away snow or break up the ice yourself, why don’t you try these ways to keep snow buildup on your roof. Gutters are essential in keeping your roof’s integrity. Since it serves to control the flow of water as well as draining it off, gutters would keep your roof and walls away from water damage. However, once debris builds up in the gutters which are common during the winter, ice and snow will build up to the roof as well. In turn, more water will build up and freeze. Since water is heavy, the excess would put an extra strain on the gutters causing them to sag, fall out of alignment, or completely collapse. This would only lead to more ice dams forming and roof leaks, mold and rot. In addition to that, leaving openings in your roof structure would give room for bugs to get in. This happens even with gutters that are adequately installed, use proper materials and size for your region. Any home’s gutters can still succumb to the weight of ice and melted snow and break away from their hangers and fall on the ground. The reason it is an excellent time to clean gutters every once in a while is that gutters get clogged even if you don’t live on a wooded lot and don’t have many leaves. Your roof would have collected debris and dam the water into place, so they need to be removed to allow for the water to cleanly flow through them. Take the time to clean your gutters to prevent the problem from getting worse. Cleaning out your gutters from time to time would be a good way to prevent buildup as it would accelerate the process of ice damming and overflow when the gutters fill up with ice and snow. Also, include upgrading your gutters to suit the weather in your area or adding something that would keep out debris in your plans if you ever consider remodeling your home. Ice dams also prevent your roof from shedding snow naturally, creating a loop of ice dam formation and snow accumulation. Heating cables can prevent ice dam from forming along the eaves, inside the gutters and downspouts to minimize the amount of buildup. Installing heat cables are easy and a much cheaper solution than fixing the source of the problem. However, while a heat cable can prevent any effect of snow build up, it works best when combined with other solutions such as fixing your insulation and installing snow guards. It’s a good idea to have your heat cable checked for proper function before you move in or if it is more than five years old. The wrong type of heat cable installed incorrectly, or one that is old and deteriorated could create a fire or electrical hazard. The attic allows heat to gather above the living space, cooling the rest of the home while increasing the likelihood of ice dam formation which will cause snow to build up even more than it normally would. When the attic is adequately insulated, heat would be able to escape and allow snow to melt slowly and safely. If the snow that quickly melts, it can form dangerous ice dams, clog gutters, damage roofs and cause dangerous icicles. The first area to insulate is between the roof rafters. Keeping an air space between the roof deck and insulation would prevent a condensation buildup that can delaminate the roof deck. You should also install polystyrene rafter air channels before insulating. Unfaced insulation batts or blankets over the heating ducts of the furnace should reduce the heat buildup in the attic. Any openings in your attic floor should also be sealed to stop warm air from seeping in. The key would be to have the outside of your home and your attic to feel identical without the precipitation. Fahey Roofing Contractors can help with necessary roof repairs and roof replacement. Check out our residential roof replacement services, residential roof repair services, or contact us at (304) 826-1333 to learn more.